When I started back blogging and determined I was going to make it a thing, a regular thing, not a whenever thing, I never really thought about doing affiliates and product testing. I started the blog back up because I love to write and I wanted to write about my latest obsessions - food, fitness, fashion. Then I got linked up with other bloggers and learned about this whole crazy blogging world, including product testing. Enter Influenster! I found Influenster through another blogger that I was in grad school with. She posted a few item reviews on Instagram and I was curious, so I checked them out. Influenster is an app that gauges your interaction with social media and then sends you free products in exchange for your opinions. I was pretty surprised when I got my first vox box, the Resolution Vox Box. Over the past month or so, I've tested out the products, completed activities and posted on social media. And today, I'm going to review the items on my blog! This was the first product that I tried out of my VoxBox! I loved that they sent me a smoothie recipe to test it out with. The recipe was an Orange Berry Protein Shake. I'm not a huge protein shake fan - I don't like their chalky taste. I'd much rather eat than drink my protein! But this shake was actually really good. Simple ingredients, nothing I had to go to Whole Foods to find, and it made two shakes. If I was more of a shake/smoothie person, I would definitely purchase this protein powder! The recipe made two shakes, so the hubby and I each had one! Chips aren't something that I crave. I enjoy them every now and then, but rarely do I say, "Man, I need some chips!" I enjoyed the Popchips. They're baked and have a good flavor! I wasn't a huge fan of the texture, but I enjoyed them for a snack. Protein bars are my jam! I eat these before my classes to get me through until dinner. I will begin this by stating that I normally hate peanut butter and chocolate in a protein bar. I like it in real life, but the texture in a protein bar is just plain nasty. This bar actually had a good flavor. It wasn't a grainy peanut butter and the chocolate chips were the right amount of chocolate. But it was hard! Like eating taffy hard and I wasn't a huge fan of that. So, huge congrats on an actual good-tasting peanut butter and chocolate protein bar. I'm just not a huge fan of how hard it was to chew! Dried fruit. This is one of those things that if I was on Whole 30 I would have loved! Again, me and my weird texture issues. It's the theme of these products! The fruit was good, but it was a little fuzzy tasting. I did like that the only ingredient was the fruit itself. So if you're on Whole 30 or doing Paleo or clean-eating, this is a great snack product for you! This was my favorite! That is super surprising because I am not a guacamole fan (you guessed it...texture). However, I love this! It's not something I would do every day, but it's a great "hey I need to grab something from the grocery store for lunch" item. 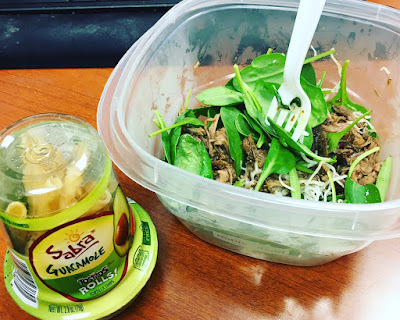 I paired it with leftover chipotle barbacoa taco salad and it was a perfect meal! The Tostitos are just enough to whet your carb appetite without leaving you in a carb coma. Definitely try these out for a snack if you get a chance! This is my other favorite item out of this box. 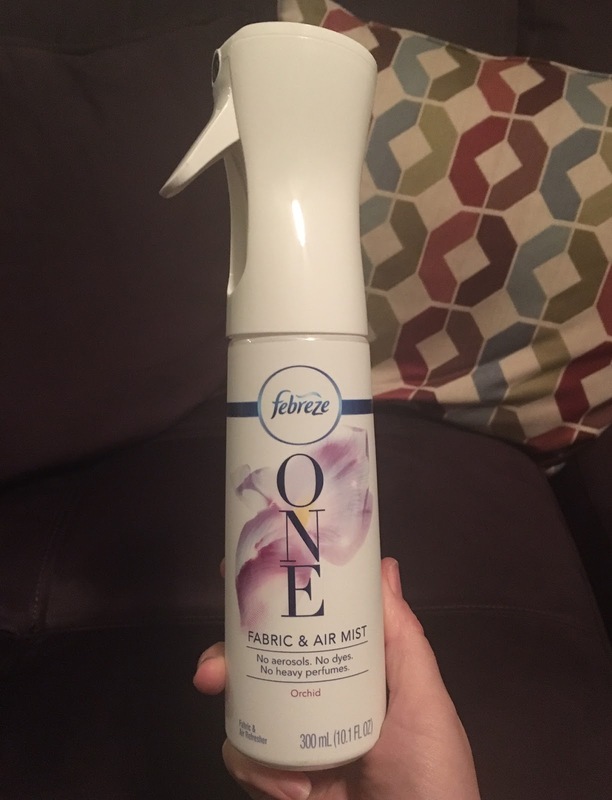 I am usually not a fan of sprays - the perfume is so strong and they give me headaches. This one, though, has a nice, light orchid scent. It's just a hint, not overpowering and I like that we can use it on fabric and as an air freshener. Now I can sit on my couch after my classes and not worry that it's going to smell like me when I leave! Before I give any opinion, I'm going to start by saying I have a gag reflex. Therefore, I kind of hate this thing. At first, it was okay. Kind of fun even. But then I got to the edge of my tongue and nope. All kinds of nope. 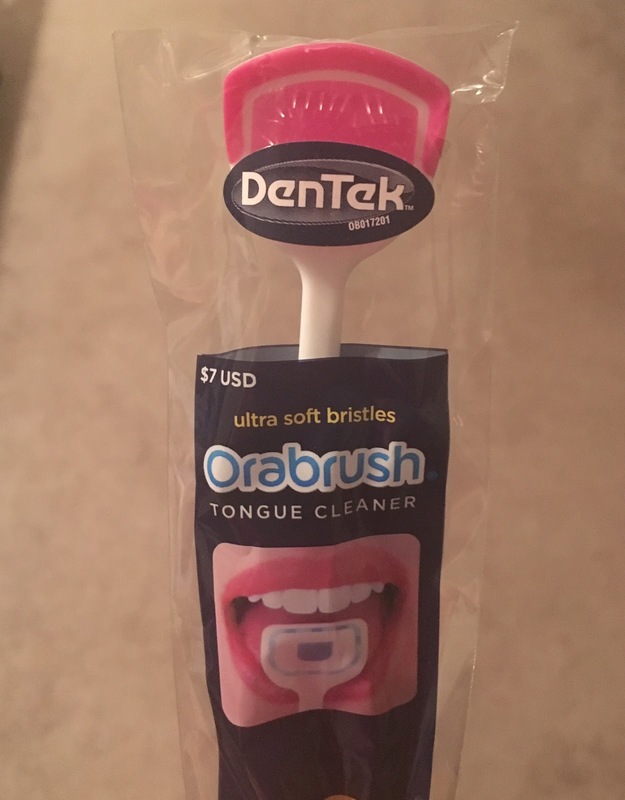 Apparently, bad breath comes from a dirty tongue and this is supposed to clean it. 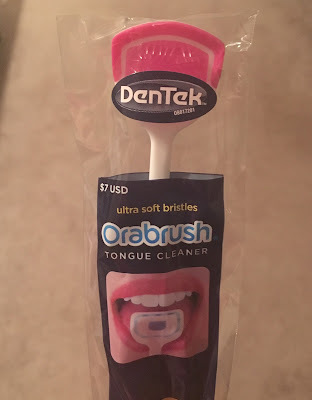 If I'm only supposed to clean the top middle of my tongue, I'm great. Past that? Nope. I really enjoyed my first VoxBox! It was fun to get a bunch of different items, try them out over the course of a few weeks and post on social media and my blog. I found two good products that I will probably buy again (Sabra Guacamole and Febreeze One) and hopefully others (that don't have my texture issues) see some they want to try. Which of these products would you most want to try?